NYC, 04/13/2019, 2:30PM. It's Mutual! A Charlie Chaplin 130th Birthday Tribute. A salute to the crowned genius of film comedy focuses on his much loved Mutual period with a rae screening of the first episode of Brownlow & Gill's acclaimed documentary UNKNOWN CHAPLIN ('83). 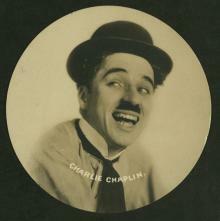 Enticing Mutual outakes are showcased that reveal Chaplin's working methods. Also with Mutual "bookends" THE FLOORWALKER ('16) and THE ADVENTURER ('17), with guest piano accompanist Bernie Anderson performing live. Preshow Q&A with Steve Massa.